COMMUNITY GARDEN AT THE LENOX IN UNION CITY, NJ. UNION CITY, N.J. — It’s a slice of Americana more commonly associated with suburban subdivisions and single-family living. But the “greening” of the country and the rising popularity of personally growing and producing your own fruits and vegetables has made strong inroads in urban multi-family buildings. A renewed awareness of the advantages of homegrown produce by the Federal government and initiatives and events centered in the White House organic garden have brought ideas and fundamentals of harvesting from suburban and country neighborhoods into the minds of mainstream America. Seeking to join the bountiful harvest and enjoy a self-sustaining lifestyle, community gardens are now appearing in the rooftops and yards of condominium and rental buildings throughout Hudson County, N.J. And these green spaces serve a dual purpose. Not only fulfilling the role of the suburban garden, community gardens are becoming one of the most popular building amenities to foster social interaction and strengthen togetherness among neighbors. 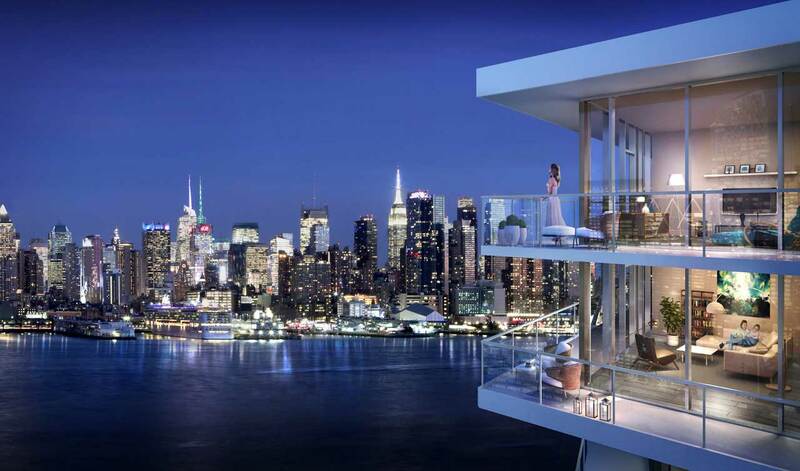 In Union City, N.J., residents of The Lenox, a condominium building located at 500 Central Avenue, expressed great interest in having an outdoor destination where they could gather and enjoy activities together. 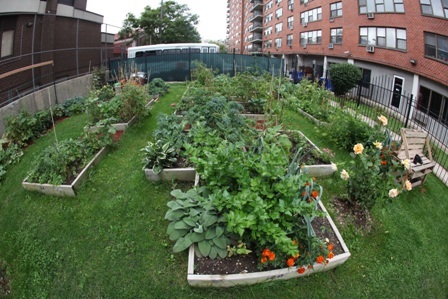 Joao Carlos Assumpcao, a homeowner in the 16-story building for four years, was aware of the growing desire for community gardens by younger urban dwellers and suggested the idea to the Lenox board in 2011. Winning approval and with the assistance of Union City Mayor Brian Stack – who donated soil for the garden — Mr. Assumpcao set out to research the best methods and practices to create and develop one of the area’s most effective and evolving community gardens. He examined systems in Paris where 60% of the parks have community gardens, visited rooftop farms in Brooklyn and attended farmer’s markets in Jersey City and beyond. Unlike suburban gardens where history and experience can dictate the types of seeds that will flourish, proper feeding methods and effective soil makeup, urban gardening in Hudson County had a clean slate with no precedent to rely. Mr. Assumpcao’s goal was to design a garden that discovered the best technologies and techniques for this region, overcome challenges and become a blueprint for New Jersey Cities and surrounding areas. The original layout of the Lenox Community Garden called for 38 individual boxes spread across a 60’ x 25’ plot. While initial interest was high at The Lenox there was no telling just how widely popular the garden would become after only three seasons or how it would develop into a trendsetting community supported agricultural project under the supervision of Mr. Assumpcao and Sherman Sullivan, who together have discovered and implemented innovative sustainable urban garden systems. These include utilizing straw hay as organic mulch to improve soil quality and best control the differing fertilizers used in individual plots and recently adding bees – complete with beekeeper — to not only pollinate the vegetables in the Lenox Community Garden, but also spread to the surrounding area and help the ecosystem. The summer, benches were creates from reclaimed materials were introduced to improve aesthetics and future plans include a greenhouse. Today, all but five personal boxes in the Lenox Community Garden are reserved with the remaining utilized as planting areas for the general building population. There’s currently a waiting list for available boxes. Gardeners have joined together to create a diverse produce landscape and share tips that will increase their yields. Every month, participants ae invited to come meet their fellow farmers and share stories, tips and, of course, their homegrown vegetable. Mr. Assumpcao and Mr. Sullivan also plan to take share their knowledge and experiences in urban gardening with other area multi-family buildings interested in creating similar social spaces and inviting local schools to the Lenox Community Garden as a teaching tool. 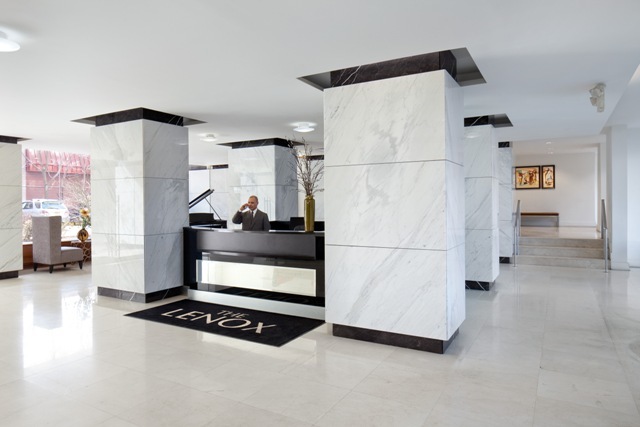 Sun Equity Partners, developer of The Lenox, completed a comprehensive modernization program throughout the building, including the introduction of an exciting new suite of world-class recreational and social amenities. In addition to the community garden, there’s an onsite 24-hour concierge to handle specific needs and requests, magnificent lobby, state-of-the-art fitness center, residents’ lounge and a clubroom with pool table and flat screen TV. Newly-released studios, one- and two-bedroom residences at The Lenox are available for immediate occupancy. Homes feature spacious floor plans with contemporary finishes and appointments at attractive prices starting from just $179,000. The building is also approved for favorable financing programs offered by the Federal Housing Authority (FHA) that require only a 3.5% down payment. A variety of floor plans are available ranging in size from 535 to 1,089 square feet of living space. Designer finishes found throughout the homes include hardwood floors, kitchens with stainless steel GE appliances, custom white gloss kitchen cabinetry and quartz countertops with marble backsplashes; and spa-like bathrooms with imported tile walls and floors and Moen shower fixtures. In addition to its attractive pricing, stylish homes and exciting amenities, The Lenox also offers residents an ultra-convenient location close to mass transportation and major thoroughfares, providing easy access to New York City, New Jersey’s Hudson River ‘Gold Coast’ and Bergen, Essex and Passaic Counties. Complimentary shuttle service to the Hoboken PATH station is and the building is one block away from NJ Transit Bus Stop with direct service into New York’s Penn Station, and the Hudson-Bergen Light Rail is a 15-minute walk away at Hoboken’s 8th and Jackson Streets platform.